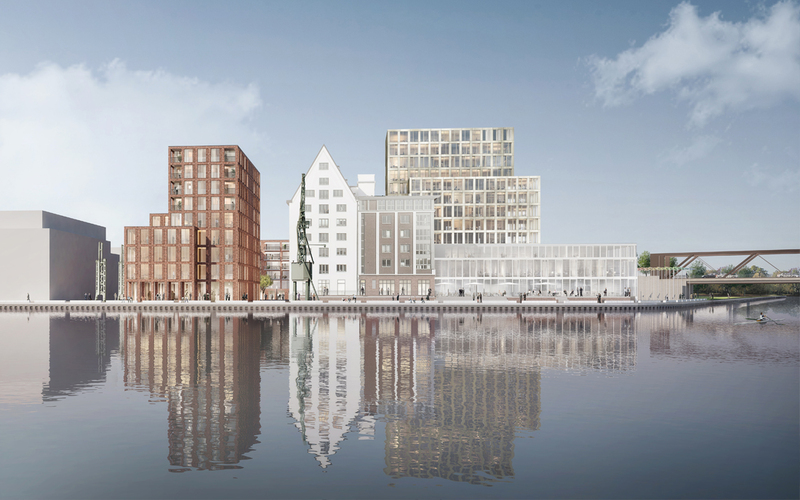 At the eastern end of the “Kreativkai” in Münster’s city harbor, a new building ensemble will be built in 2019 around the “Kuhr-Speicher”. 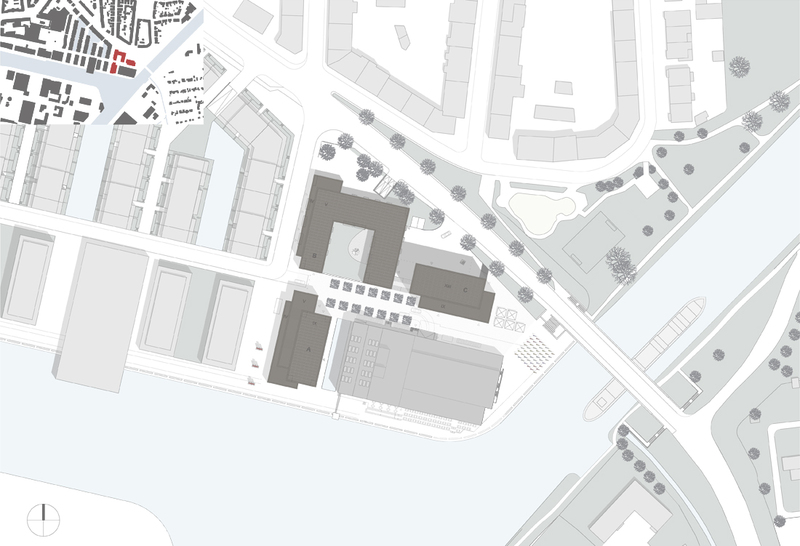 The “Harbour Gate” consists of three solitary buildings, which are accessed via Schiller Street. 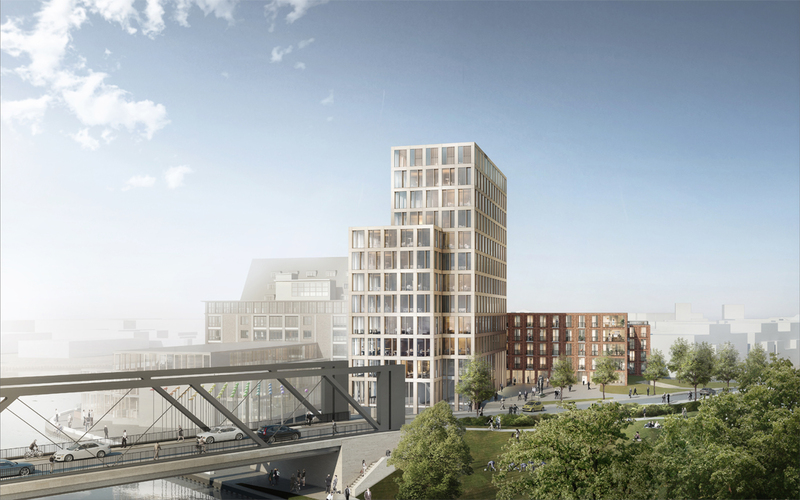 The existing low-rise building structures of the area are picked up and repeated in the new development, ending in a vertical tower, which forms the striking beginning and end point of the new canal bridge. The guiding idea of the proposal is the continuation and transformation of a classic harbor architecture into a modern yet timeless design. 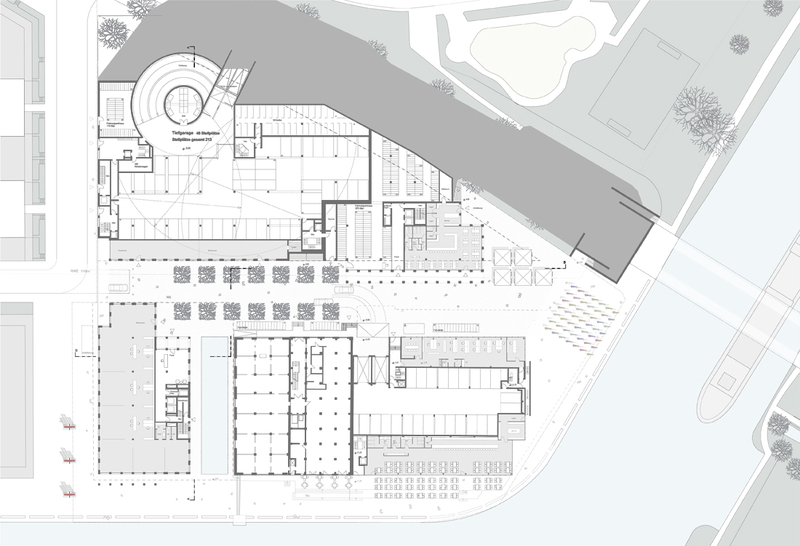 Simple geometric forms and powerful stereometries of old warehouses are the model for the three new buildings. 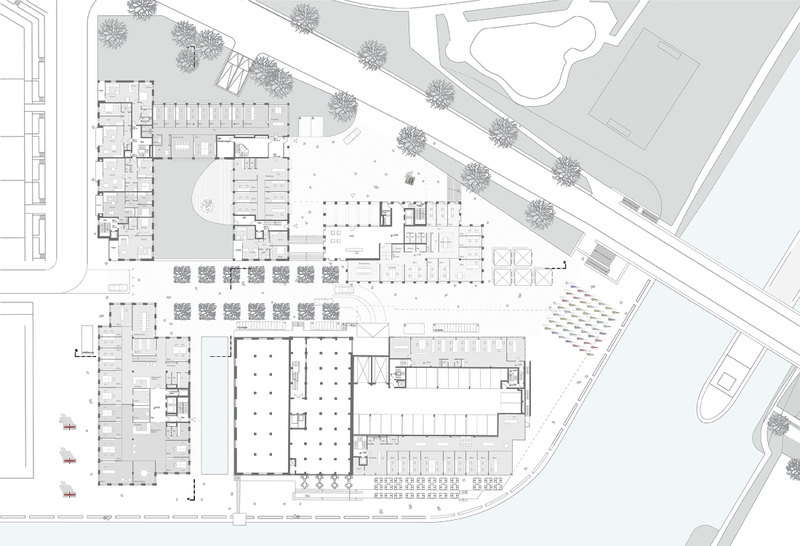 The solitary buildings will accommodate office and residential use with views over the city harbor. 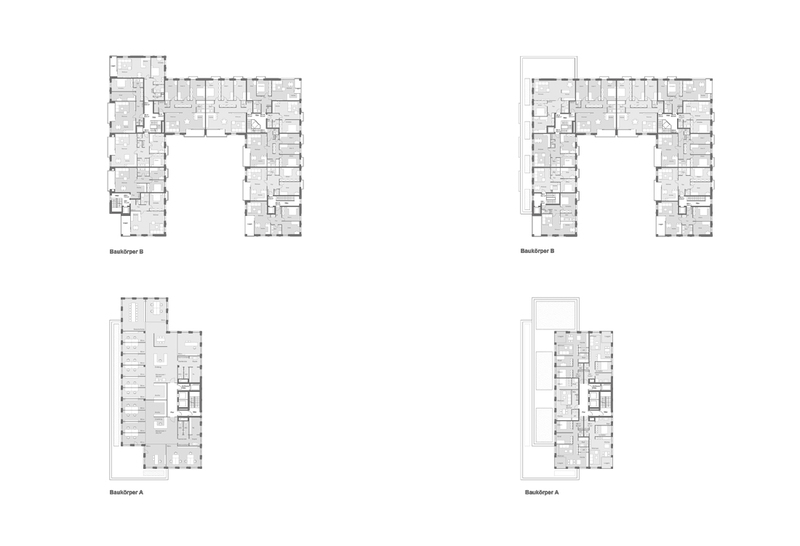 The office space can be divided floor by floor into two rental units, but it is also possible to create larger, cross-floor variable units. Two 8 and 12 storey high interlocking tower slabs act as the spatial conclusion of the harbor route. 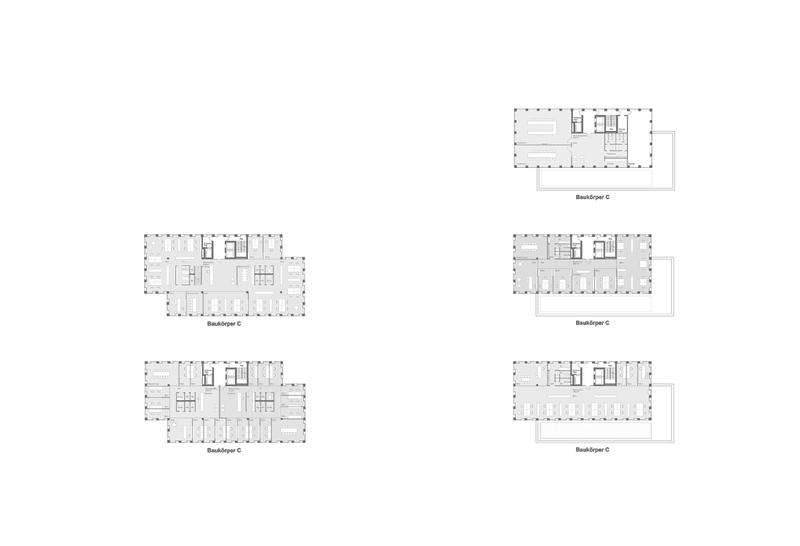 A total of around 10,000 m² of office space and 7,000 m² of living space will thus be created. 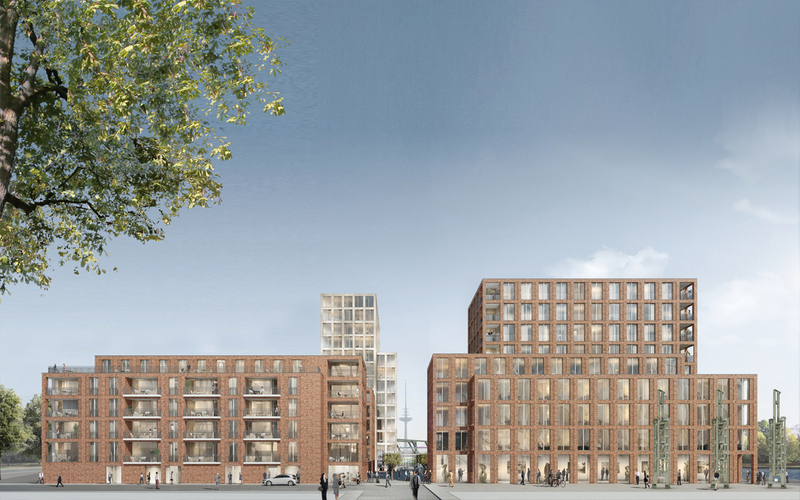 In order to meet the needs of Münster’s enthusiastic cycling population, a bicycle parking garage with 370 parking spaces is planned in the basement. The underground car park also has 276 parking spaces.